Dear KaWficionados, as I took a brief respite from the latest bout of OSW in my study, my attention fell on a roll of old manuscripts on vellum I acquired in Khruta-Kadh months ago and never got around reading. As it turns out, the third document is a fragment of Ibn al Jibril History of the Far Lands that deals in the specific with cooking and food in the realms of KaW. Here is what i found. May God Most Merciful guide Ibn al Jibril, His most undeserving servant, while he compiles this brief history of how the inhabitants of the Far Lands take their repasts and what their customs and means are to provide for their meals. He whomsoever wishes, for his own use or for the use of others, to know about the customs of the Far Lands let him read this work, which is attested by the memory of Ibn al Jibril and once read, hold it as the Truth. Ibn al Jibril traveled the Far Lands extensively as the emissary of His Most Exalted Calif Hashim al Seif, Amir al-Muminin. The Far Lands are filled with unbelievers but God in His greatest mercifulness has chosen to provide to them great diversity in physical features and in resources. Hence travelling a mere two weeks by camel one can traverse the ice wastes of the Unkari, jungles where progress is made only by great effort in cutting the vines and trees that stop the traveller, camp in the shadow of mountains whose tops are forever hidden in storm clouds, and reach the deep ocean travelling on swift and broad rivers that water the richest meadows this side of our Caliphate. Here I speak of what the inhabitants use as their meat and drink, as I saw it during my travel. In the Far Lands uniformly the inhabitants, be they Dwarves or Elves or wild men, use many spices to flavour their meats and repasts. The most used spice is the Talaati Salt, which they pour with great gusto on many foods. Unlike the salt of the Caliphate, which is taken from the sea, this is dug from great mines in Talaat, which provides a great income for that Lord as a mina of the best salt can be worth as much as three good camels. The color of the salt, which is pink, is said to come from the blood of a great giant who was slain in ancient times on those mountains but I believe this to be a fable and that the salt takes on the color of the nearby rock. 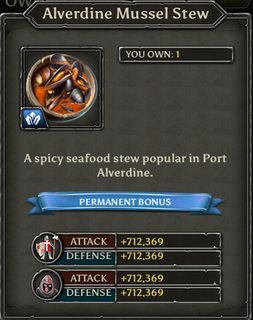 In all markets a great deal of spices is traded by merchants and the foremost traders in this must be reckoned the merchants from the Port of Alverdine, on account of that being the land that produces the greatest amount and diversity of such spices. 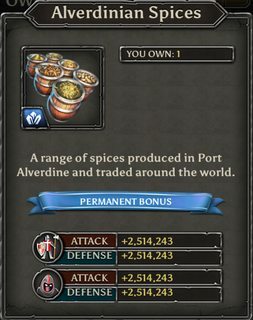 It should be said that the merchants from Alverdine could extract a far greater profit than they do if they came together to control the amount of spices produced herein. By owing to their great internal divisions they can never do so. Alverdinian are accounted most quarrelsome even by Dwarves. 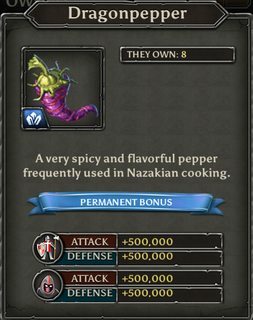 Of great repute is the Dragon Pepper, which is most used in Nazakian food and is of great spiciness. It is said that a full Dragon Pepper can kill all bad taste from spoiled meats. Spices are often offered at the table in the Far Lands on their own platter so that those who take their repast may choose how to best dress them according to their palate. 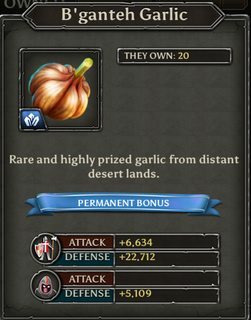 Of great usage for meats and other food is the garlic B'gathteh, which is grown and traded from there in all of the Far Lands. Much is the consumption of foods coming from both sweet and salt water in the Far Lands. This is on account of the great variety and access to lakes, streams, rivers and seas that there is there and also on account of the great number of wars and raids that are always occurring there. Hence the fisherfolk have greater luck in procuring food than the farmers. 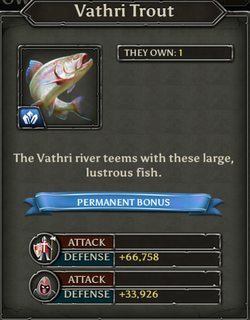 In great estimation is kept the trout of the Vathri river, whose meats I can attest are robust and savoury and is prepared in many ways. It's price is middling to low depending on the season and it feeds a great many along the River. 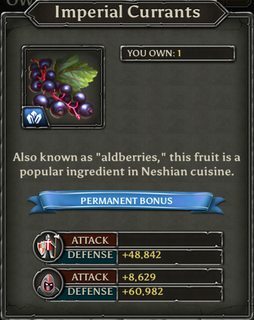 It is carried alive in great oak barrels for the feasts of nobles across the Far Lands and it is - in this case - much dearer. Another fish of great repute is cooked in Vigonia and called here mullet. It is prepared with limun and herbs. Great commerce is made of this fish. 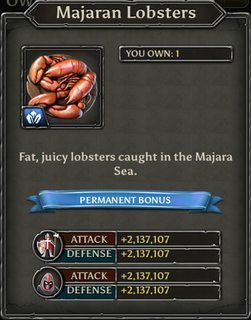 A delicacy of the Marajan sea is a great scorpion-like animal that is called hence lobster and which carries no stinger or venom but once boiled and cracked open yields white meats. 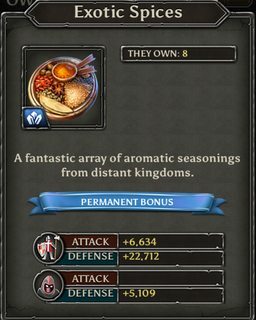 Its price is dear and spices are often used to flavour its flesh. It is caught with traps rather than nets or seaspears. Mussels are greatly liked along the coast of the Far Lands but nowhere are they better than in the Port of Alverdine where they are cooked with the many spices of that land. Because of heat and distance much commerce of fish is made through dried fish. 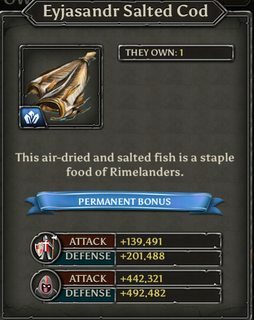 The Rimefolks are great merchants and producers of this fish. The methods of preserving such fish are two: it is either salted or it is dried in the sun over great racks. In both cases it loses all of its water becoming hard and well suited for long travels. In such travel it is often accompanied by hard dried bread. 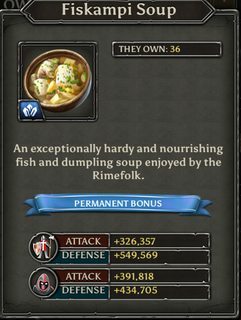 The Rimefolk have a well-known food they make from this salted fish: they prepare a soup with dumplings, spices and the fish which is nourishing and very good. Before they cook the salted fish they wash it for a long time in clean running water so that it both frees it of the salt, which would otherwise make it unpalatable, and returns some of the liquid to the flesh. 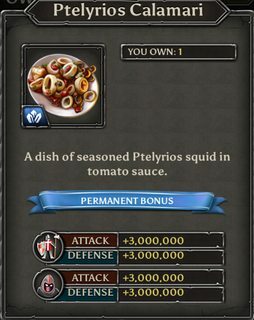 Squids are also very abundant on the sea coast and are eaten especially often with tomatoes and spices. 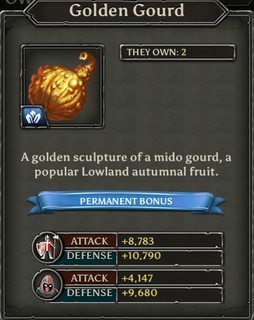 In the Far Lands people eat the flesh of many beasts. Here I look at the most notable and most praised or at the most strange. Throughout the Far Lands roast lamb is in great demand. There was no land we travelled where we were not offered such. While spices and flavours subtly changed in its preparation it truly can be called the common food of the land. No feast, be it of the poorest farmer or of the greatest Lord, can be called such without a roast lamb. 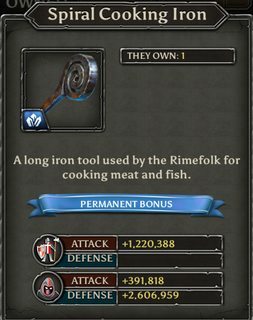 Here I should say that cleverest tool to roast meats that we came across was the spiral iron of the Rime Lands. 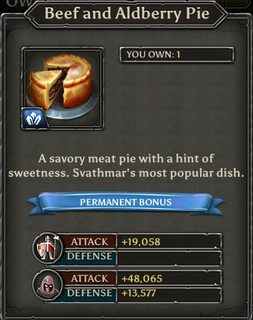 In Svathmar a sweet but savoury pie is made with beef and the common alderberry, which grows in great expanse there. 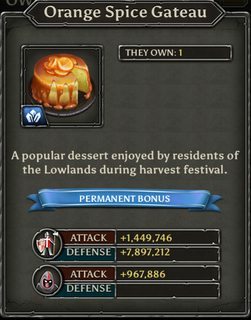 This is a food enjoyed by all in this part of the Far Land and of good substance. 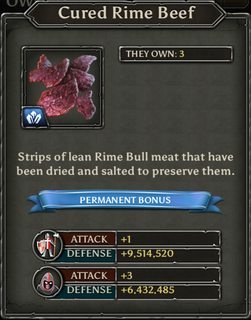 Much like the dried fish, the meat of both the great Rime Bulls and of the common cattle is dried for easy carrying and commerce but it is less amenable to being reconstituted. It is used much for travelling armies and merchants, who in the main are used to such fare. Finally, it must be mentioned that dragon meat is prepared in sausages. 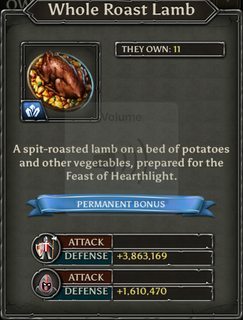 The meat is most tough and used mostly by Dwarves who are accustomed to such flesh. Having tried it I can say that it is not a repast to be enjoyed but rather endured. 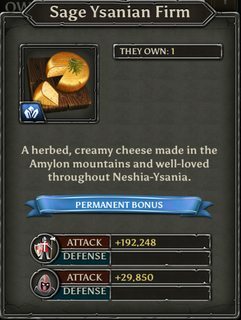 Inhabitants of the Far Lands devote the last part of their meals to platters of fruits and cheese. 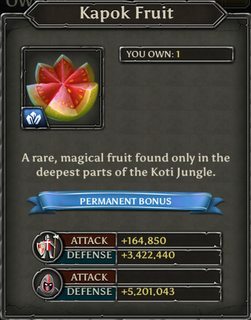 Uncommon but greatly sought after is the Kapok fruit, which is traded from the deepest parts of the great Koti Jungle. Hence its price is very dear. 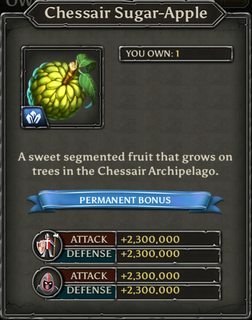 A common fruit across the Far Lands is a very sweet apple from the Islands of Chessair, which is consumed by both high and lowborn. 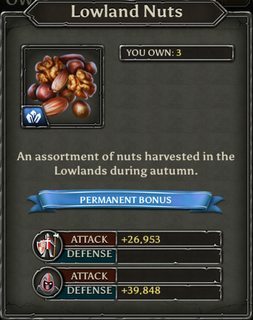 But of greatest consumption are the alberberry and nuts, which grow in the meadows and forests of this land in astonishing quantity. At the appropriate time of the season women and children undertake to collect these. 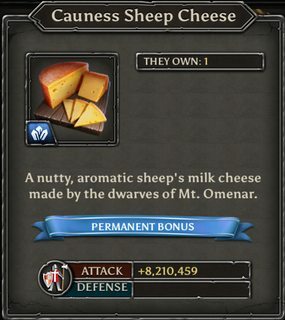 and the Cauness sheep cheese, which has a flavour resembling the nuts it is traditionally eaten with. In this the Far Land people truly demonstrate their backwardness as they consume much in the way of forbidden drinks that muddle their mind and turn them into beasts. There is great commerce throughout these lands of these drinks. 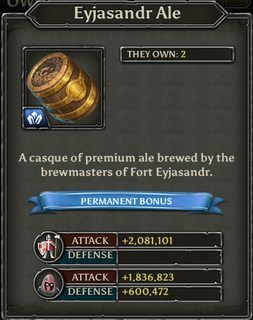 Many ales are brewed throughout the land but the dearest one comes from Eyjasandr and it can be very sought after. A sturdy meal can be had in the Caliphate for the price of one mug of such. The ale is often consumed using a lidded vessel to keep it from losing its flavour. So is the ingenuity and craft of such men wasted on forbidden things. 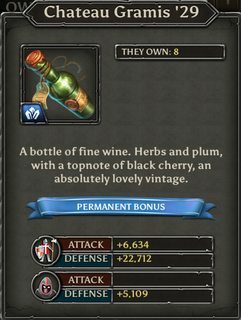 From grapes and fruit they ferment wine and such is the demand that certain years are esteemed better and deserving of great cost than others. Much fame and profit is found in the making of wine throughout the land. Many Lords will fight their neighbour for a good hill producing wine. A special wine is crafted by the Dwarves, who enjoy especially strong drink, from hills scorched by dragon fire, such treatment makes the drink - it is said - more potent. 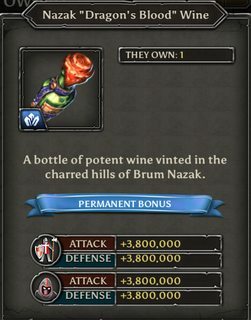 Most of this wine is consumed by Dwarves and to receive one such bottle in other parts of the Far Lands is considered a token of great respect and importance as almost no commerce is undertaken in this wine. 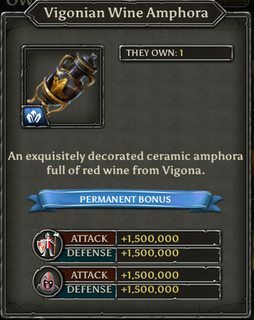 Much of the wine that will be consumed by the workers and farmers is not placed in vessels of glass but, like oil, in amphoras, which on account of the great demand for this drink, fill great ships in the ports of Vigonia. Many strong drinks are also prepared for high and low-born alike in the Far Lands. A drink for lower than commoners is considered the rum; it is considered fit only for mariners. For higher palates is considered the fiery water of life that the Dwarven people distil in great secret in their mountain holds. In these distant lands the art of preparing sweet foods pales in comparison to the skills of the Caliphate's cooks. Enough it should be for the reader to know that there is no Sharbat in these lands. However, it is worth mentioning the following products. Orange and spices are mixed to flour and eggs in the Lowlands festivals for a mild but acceptable result. 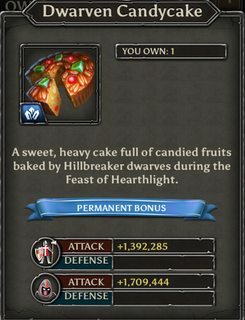 A more robust result is achieved by the Dwarves with their festive cake. And here ends the manuscript. The vellum was scraped and the rest was replaced by Caunessian poem that dealt with, well... let's call them particular tastes. In any case, when I return to Khruta-Kadh I'll visit the book seller again and see if the old man has more of this. 'Till then eat plenty and stay away from indigestion. Last edited by Ashvar on May 27 2018, 8:27pm, edited 2 times in total. You spent so much time on this. I wish forums wasn’t so dead because this would be a lovely thread. I liked it nonetheless. Good stuff! Yeah. What Nate said, would have gotten a lot more responses if the forums weren't dead due to ATA ignoring the game. Nate wrote: You spent so much time on this. I wish forums wasn’t so dead because this would be a lovely thread. I liked it nonetheless. Good stuff!